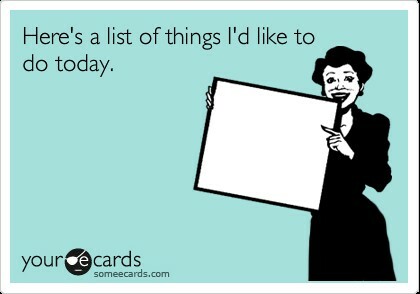 ...I'm pretending my list looks like this. Will it ever? No of course not! But what is there to do if there's nothing to do? Exactly. Good point huh? One of those 4 was a monogram painting for the "old" grays (Sean's parents) that his mom had asked for. 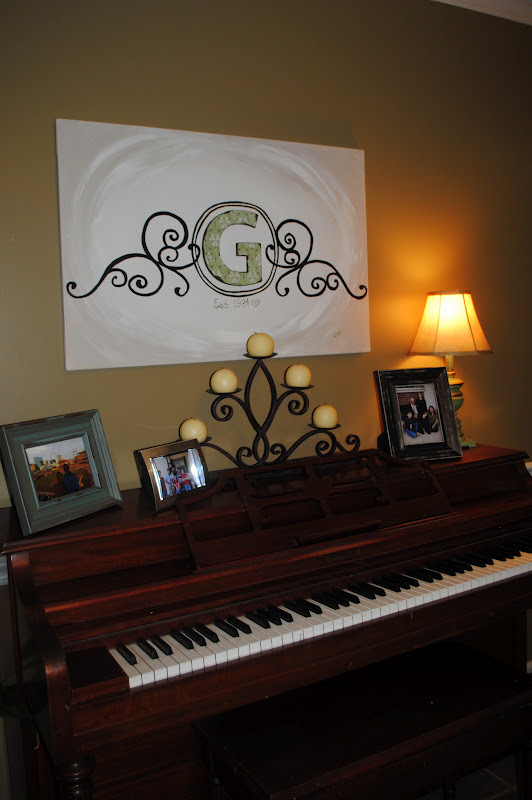 She wanted a big G to go over her piano in the kitchen, as she is finishing up her kitchen update. 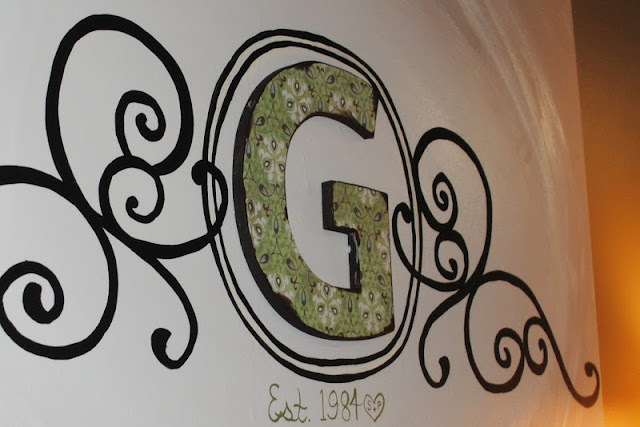 I used a wood letter ($2) and mod-podged scrap book paper on it to place in the center of the canvas, then painted the design around it. Beneath it is the "Est. 1984", the year they were married, and their initials. I had it finished as a surprise when they got back from St. Louis for a wiffleball tournament. I decided to forgo the trip to work on some things and have a weekend of non-rushed project time. And it felt amazing!